You might be surprised to hear that these words were spoken by Bruce Lee, film star and famous martial artist who developed Jeet Kune Do, a hybrid martial arts method that took the best approaches from different fighting systems and synthesised them into a flexible and effective fighting art. Jeet Kune Do is referred to as a “style without style” where, unlike more traditional martial arts which Lee saw as rigid and formalistic, JKD is not fixed or patterned: it is more of a philosophy with guiding thoughts, a “style of no style”. Bruce Lee often referred to JKD as “The art of expressing the human body” in his writings and in interviews. And those comments got me wondering about Reiki, especially when Lee identified three different stages that someone’s practice could go through. He said that before training, people had a natural ability, something that was unformed and unfocused; training begins and the student learns how to follow the instruction, they are restricted to the framework that they are taught and many practitioners might not move beyond that stage, following the system almost by rote. The third stage is where the practitioner moves beyond the rote learning to embrace simplicity and flexibility. So how does that echo one’s development with Reiki? Well, before some people learn Reiki, they already have a healing ability, maybe unstructured or unconscious, unfocused, but a natural healing ability nevertheless. We have taught many such people, who have found that Reiki gives them a framework or a structure to work through, focusing and channelling and enhancing what they already had. But you can move beyond that framework, simplifying your practice, altering what you do to the needs of the recipient. You can embrace intuitive working, where you leave behind those basic rules to go ‘freestyle’ and, where Lee describes his system as “The art of expressing the human body”, we could see intuitive working as “The art of expressing the energy”. Here we are empty and formless, flowing like water to where the water wants to go, joining with the energy and following it, directing the energy to where it wants to be directed, emphasising aspects of the energy that need to be emphasised. We stand as a flexible conduit between the source and the recipient, empty, formless, fluid. 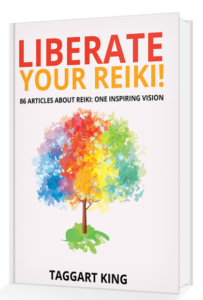 I believe that clutter-free Reiki is the best Reiki, and that by cutting away the rules and the dogma we can ‘refine’ (to use Lee’s word) our Reiki practice. Can you see Bruce Lee’s description of advancement within martial arts in your own practice of Reiki? Have you moved on from the basic procedures that you were taught, to find your own comfortable way with the energy? Has Bruce Lee’s advice that you should be “Be formless, shapeless… like water” and that “True refinement seeks simplicity” insinuated itself into the way that you practise Reiki now? Post a message below to let me know how your practice has developed and changed over time. I can identify with Bruce Lee …simplicity and un cluttered is perfect for Reiki. I trained a few years ago and ended up doing master/teacher distantly with Taggart ….I have taught a few people in the past (never charged them) …but stopped doing treatments some time ago because of mobility problems ….but I still do distant healing and of course self healing ….it took me a little while during training, to get happy with being intuitive …but once the penny dropped, yes , so much better than structured treatments ? Bruce Lee says to be like water, just go with the flow , and strangely enough when I prepare for DH or self healing, I first concentrate on water, be it a quiet lake somewhere or the seaside listening to the lapping of water as that is my happy place ? Hi Val, focusing on water sounds like a great way of bringing some stillness into your system. Almost like importing the energy of stillness and making it part of you. 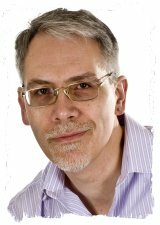 After going to a practical talk by William Lee Rand some years ago, and after I’d completed Reiki 3, I was able to take his advice and work with my intuition, inner guidance and the energy itself. Since then I’ve found myself changing my practice from client to client as I responded intuitively to their needs and I’ve even surprised myself by responding to the energy in new ways. This can be an intimidating process at times, where you wonder if you are doing the right thing, but I’ve had positive feedback from clients, so I’m continuing on this journey of discovery. There must be many of us out there who question this departure from the learned ‘Reiki curriculum’. Thanks for this chance to positively examine our practice. Hi Linden, I know what you mean about it sometimes being an intimidating process, where you wonder if you’re just making it up or even just doing it wrong now because you’re deviating from the standard process that you were taught. I think the best approach is to ‘not try’ and just be still with the energy, mindful, and allow what happens to happen, to just go with what the energy seems to want to do. This article has reminded me of my experiences doing ” pushing hands” in Tai Chi. This was definitely a case of “less is more”. The more I tried to push away the large man in front of me, the less I could. But when my mind was defocused as if observing from outside myself, it was so easy. The secret was, not to “do” it at all. And, interestingly, I found that if I had been working a lot with reiki before the Tai Chi session, I was in a much more able to achieve that state of mind. Since the RMT course I have felt more and more what a fundamental element of life reiki is, that we are immersed in it, and that to receive and to pass it on to others is just a matter of awareness, and not really of “doing” at all. Hi Kay, it’s interesting how the key success with your pushing hands was also to ‘stop trying’. Once we can get our heads out of the way and just let it happen, lots of things are possible! I practise Reiki intuitively now. Reiki sometimes is colourful, predominately comes direct from my solar plexus without having to bring it from the universe. Simply because I store the energy there on a daily basis which comes from physical exercise.At times it flows from the solar plexus out into my auric field, stretching my aura.